The Proving Grounds are where players can compete in single elimination tournaments to claim glory. This is a place for contenders to show off their mastery of tactics, facing opponents on equal footing. While competing in tournaments, all Heroes are fully leveled up, ranked up, with the highest stars, and all abilities are unlocked; however, runes will be disabled. Upon starting the tournament, each player selects 12 Heroes from their roster. Sometimes additional featured heroes can be selected as well. Before each match, participants ban 2 Heroes from the opposing team. Players then form 2 defensive teams from their 10 remaining Heroes. Each player has 2 attacks using unique Heroes to eliminate the enemy. The player who eliminates the most Heroes, in the shortest amount of battle time, wins the round. Winning 3 rounds wins the tournament! We feel your pain! Now you can filter runes by their main stats in hero citadel. You can now hide more system messages including victory messages from other players and hero unlocking / evolving messages. 5 more items added to Alliance Campaign bonus rewards (10 in total now). 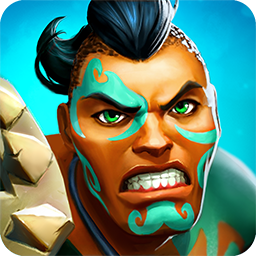 The feudal island nation of Kunai has sent their best warriors from the honorable Budo Clan to test the heroes of Atlantis! During this event, there is a chance to encounter special challenges after each battle. Victory grants Heroic Tokens which you can exchange for Relics of Budo Heroes to summon and evolve any of the rare Budo Clan heroes. These heroes cannot be unlocked anywhere else during the event. If you are a part of an alliance, the total amount of Heroic Tokens acquired by alliance members will unlock special items in the Alliance Event Shop. And.. they have also brought us the Sakura Festival! Hahhahahahahhahahaahhahahahhahhahahahhahahhahhahahahahha. Raptors. Then Japanese. Hahhahahahhahaahhahahahahaaha. Are there five new heroes that are each by far the most powerful in their class? BTW that is the least worst thing to worry about with runes, sorting/searching them. Thanks for not releasing another 5 legendary heroes right after the raptor event. We were worrying about it lol. Must strengthen physical side. I think they are physical legendaries. the rune filter by stat is long overdue. i hope, unlike loading presets, it is standard feature. more broken new content? ofc! tournament: is a good idea but if you want "equal footing" why can you only use heroes you have? this makes no sense at all. unless.... you need to make those who bought raptors and other lengends but are too stupid and/or lazy to rune them properly and also maintain runes on their other heroes feel better than others. No runes simplifies the game, eg. no tricky phys tanks with lots of magic def etc..
also the remove 2 heroes thing is also a clear p2w feature. moderate spenders are likely to only possess a couple of legends. best make sure they can't use them, ey? Anyway, it is clearly not an equal footing. But don't worry, a few of us know how to exploit your broken game engine pretty well these days so we still stand a chance. I am looking forward to hearing the "how did he win" complaints. best hurry up with that strategy nerfing AI system. more themed heroes with extra team boosts: die. ROFL this Ragequit guy again! I really can't understand why you are still playing this game. Seems you hate it so much.. I even remember you said a few months ago on this forum you have left the game. Is whining your lifestyle or something? I'm also curious to hear how you can exploit the game. Why I never see you in world boss leaderboard or arena with your secret weapon? Show us your power my hero! specifically what new loots will be added to alliance campaigns? how many of the new rare heroes will be added? thanks for any more informations that can be shared. you are not laughing, so why ROFL? I'm a constant feature in world boss board, even though I only fight once. Ive yet to see a fight higher than mine without raptors. But i just check a few higher than me when I'm done. Not that it matters. I hardly ever see Apises in chat yet I am a vocal and a solid member of the community, whose company I enjoy and i enjoy playing with. Maybe that's why I stay. Complaining is how things get better. Keep taking it and it just gets worse. Your attitude is responsible for the horrible decline in gaming quality, and its continued focus on profit. Games were once made for the gamers. I don't like the thought of my kid playing stuff even worse than this. My exploit claims are all you mention an issue with. I believe that, in itself, is an excellent indication that you agree with the rest. I have youtubes showing broken bits of gameplay, but im not going to show how to exploit it, you will have to find that out yourself. Please note i am not publicising. Quitting is hard when you're an addict, don't you think? Well, I appreciate you being reasonable with me. I don't agree with many of your opinions but that's really not my business. It's a game after all. Don't take it too serious..
We don't have an ETA but the update should be released this week. A silver key and 4 random rare hero relics will be added to alliance campaign final loots. 4 new rare heroes will be released on a weekly schedule. The event will last for 4 weeks. I like the pink hair character! I hope it's easier than the previous event. I did not win because it was very difficult, it was easy for players with more than a good team. Congratulations on the design and adding more girls to the game!! We will choose a kind of troup? Update - we are preparing the new patch and will release new features and events once everything is stabilized. Always get network error. It's really annoying. Is there some problems at server side? When will be the game stable? Hi everyone, we apologize for the service interruption last night. The server connection should be stabilized now and the new event and festival have been rolled out. We will release tournament later today if everything is normal. Hello, so the only way to get the hero relic is through the alliance shop after the alliance get 30.000 heroic token? Can not be found in the golden chest? Daisuke you can buy relics of Budo heroes with heroic tokens in the token shop. If you are active on alliance bosses and defeat a few personal heroic challenges (or whatever they're called) you should be able to purchase one or two heroes before the end of the event. While the event is active you can't get the new heroes from keys, but after the event is done you will most likely be able to unlock the heroes with gold keys, and get relics from silver keys (and maybe heroes from silvers), and relics and scroll parts will likely be available from somewhere, like arena or trials. Thanks unclemat. My alliance has never beat a boss. Not active enough and huge timezone not difference. Do you also know how the monthly alliance rewards work? Also is it better to beat the two lowest challenge withouth losing a warrior or beat the two highest with only one man standing. Which give best reward? I dont have a clue lol. Each challenge gives you the same amount of tokens regardless of casualty so there’s no difference. Higher stage give more gold and mana. If you can only do two, i’d do stage 2 and 3 for more gold and mana. So what about the proving grounds?